This Alcudia Map & Puerto Alcudia Map shows popular Attractions, places of Tourist interest &Transport locations Click the name in the right column below to highlight the location on the map. 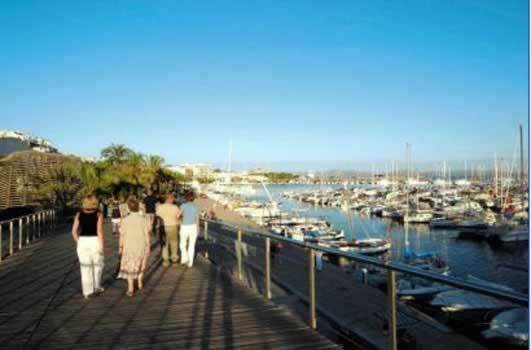 Puerto Alcudia is located on the north eastern corner of the very large Bay located on the North West of Mallorca. The resort offers a variety of family activities and with a water park nearby, it’s obvious that children in particular will have a wonderful time here. In addition to the impressive Old Town, discover more about the rich and dramatic history of the area. There are some stunning palaces to dazzle your eye and Roman ruins to explore. 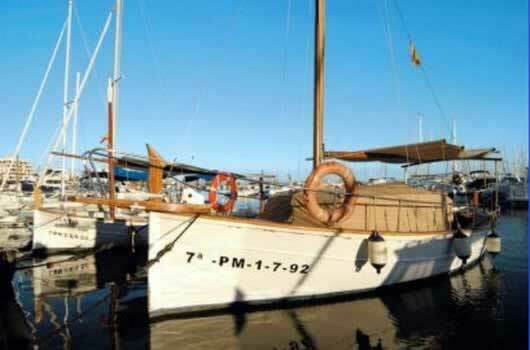 If you fancy a day trip, why not take the ferry to the Minorcan city of (Menorca) Cuitadella which leaves from the commercial port of Alcudia? 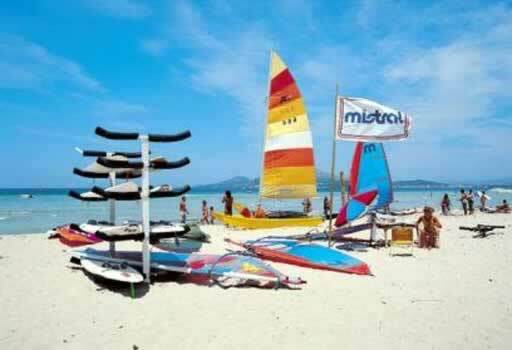 Alcudia lies in a large bay on the northeast coast, 45km from Palma. It has a superb beach flanked by a range of amenities geared to holiday makers. There's little reason for sun seekers to venture anywhere else. Alcudia boasts one of the longest beaches in Majorca, 8 kilometres of gently shelving fine sand, punctuated now and then by pine-dotted dunes. The beach features an array of watersports. If you are feeling restless, expend some energy by climbing Sa Talaia d'Alcudia, a hill from which you can see impressive views of the bay and the surrounding area. Bulls can sometimes be seen in the animal pens area. The fishing port is thriving and there are a great variety of shops for those who can escape the lure of the beach. Shops and boutiques are spread across the resort, so a day of shopping will involve a fair bit of walking. Be sure to try the local market which is held on Tuesday and Sunday mornings. In the evening, the majority of nightlife and restaurants can be found around the port or at the northern end of Lake Esperanza. Some areas can get noisy in high season in Alcudia, but this is not generally a boisterous place. The site of the modern day resort was originally the port for the old, walled town of Alcudia, now beautifully restored. Its history encompasses the Phoenicians, Greeks and Romans, but it was the Moors who built much of the city as it is today. The medieval ramparts were added after the Spanish conquest of the 14th century. Inside you will discover a maze of warren-like streets typical of Arab towns. Be sure to explore the remains of Roman houses and a well preserved amphitheatre close by. Lineker’s Bar is now firmly established as one of the best known bars, the family orientated resort ensures that for the entire summer period the bar is constantly rammed with people of all ages. Young and old alike mingle together from the moment the bar opens until the moment it shuts - and everyone has the time of their lives. If you're looking for somewhere to take the family, then as a resort, Alcudia can't be beaten and in Lineker's Bar the adults have somewhere to relax in the evenings while the kids are being entertained. Blending all flavours of eateries, from fast food to restaurants serving international cuisine, Alcudia caters for all budgets, as well as waterside dining down in the port.